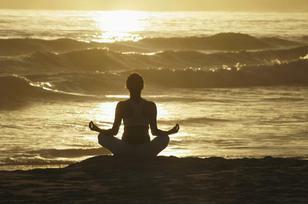 There is growing scientific evidence demonstrating that meditation has a positive effect on our health and well-being. Meditation techniques are now routinely used in the treatment of stress, depression, PTSD and other forms of trauma, and a wide range of medical conditions. The meditation guidance I offer has its roots in the Tibetan Buddhist tradition, but is applicable to anyone of any faith or none. This kind of meditation emphasizes increased mindfulness and awareness of present moment experience. As our attention is placed on the immediacy of our experience in the body, moment to moment, we cultivate our capacity to stay present to ourselves with compassion, thus increasing the possibility of healing and well-being. By practicing meditation we begin to see through and transform the self-limiting beliefs, fears and experiences that obscure our true nature. We increase our awareness of ourselves and the world around us, developing a deeper experience of our true selves, and cultivating a sense of peace, calm and ease within ourselves and our lives. If we can train ourselves through meditation to be more open and more accepting toward the wild arc of our experience, if we can lean into the difficulties of life and the ride of our minds, we can become more settled and relaxed amid whatever life brings us.